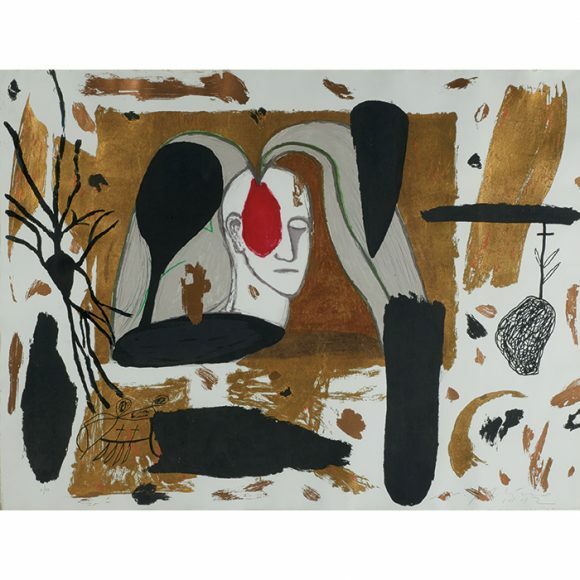 Born in Paduli, Campania in southern Italy in 1948, Mimmo Paladino was raised and studied in Benevento, where he still keeps a studio. 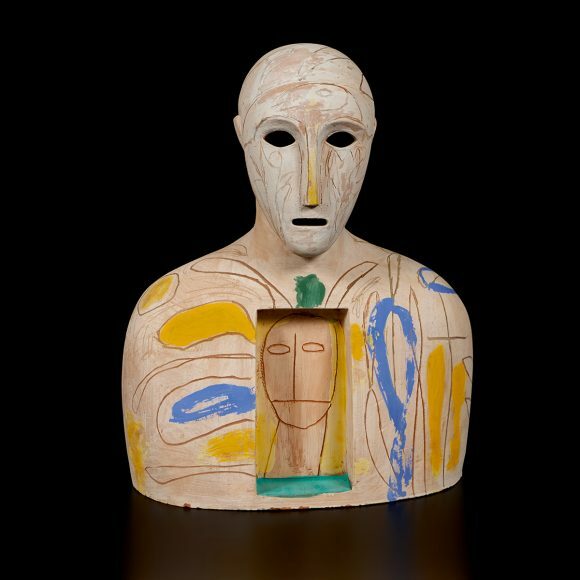 During his boyhood, Paladino was profoundly affected by his initial exposure to American Pop art on a visit to the 32nd Venice Biennale in 1964. His first exhibition of paintings was in 1968 in Naples. Paladino focused on photography and conceptual art to start the 1970s, but he gradually returned to painting. His manifesto composition, Silently, I Am Retiring to Paint a Picture, was presented in a gallery with painted walls to provide a fully immersive experience and announce his desire to break from past conventions. 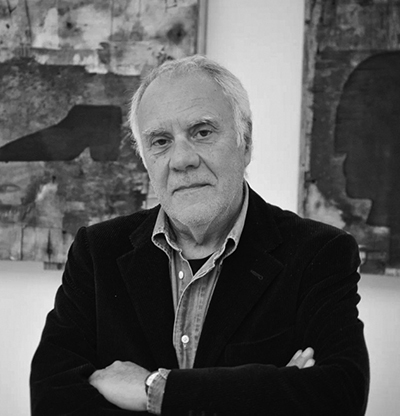 Following a move to Milan, Paladino exhibited more widely and took part in international tours with young Italian artists like Luigi Ontani, Francesco Clemente, and Nicola De Maria. 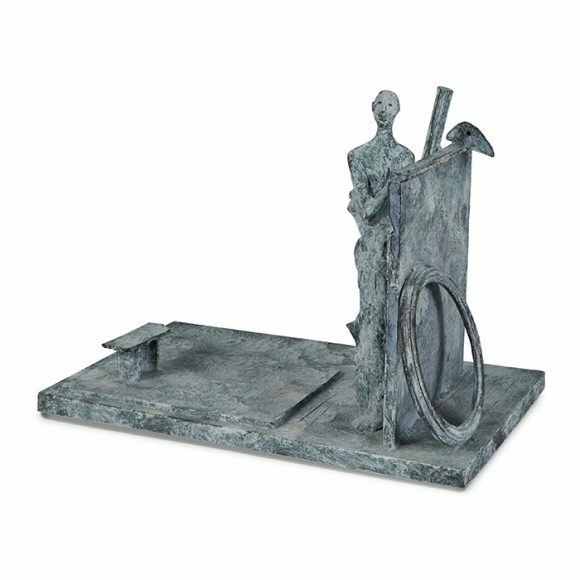 In the early 1980s, Paladino began producing sculpture and engravings. Yet even when his three-dimensional works seem overtly geometrical, they have a representational quality. 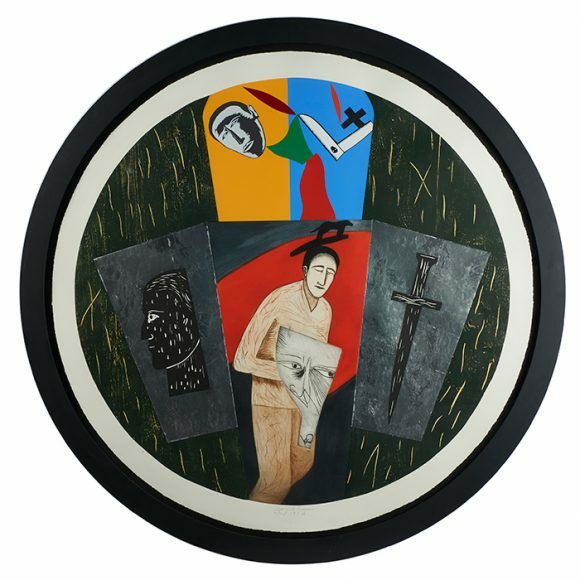 More recently, Paladino has continued to create works in his preferred forms, but he also experimented with landscape architecture and art in tandem at the Hortus Conclusus garden in Benevento in the early 1990s. After 2000, Paladino has even explored the possibilities of video and music in relation to visual art. Truly an eclectic practitioner, Paladino remains an artist on the cutting edge.